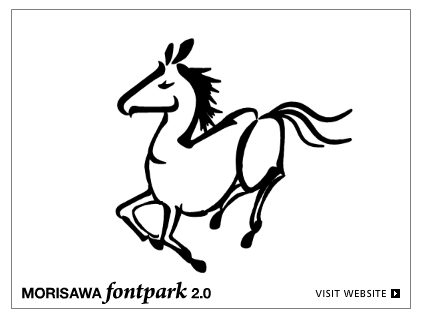 Stumbled on an amazing (and I hate how overused that word is, but I have to use it) Japanese Flash game/font website, called FontPark. The idea is that you can use Flash interface to take apart the glyphs from a font and draw beautiful, funny, or just fun pictures. You can move, combine, scale, rotate, and dupe the peices to make your artwork. Kind of like Lego but with kanji glyphs. 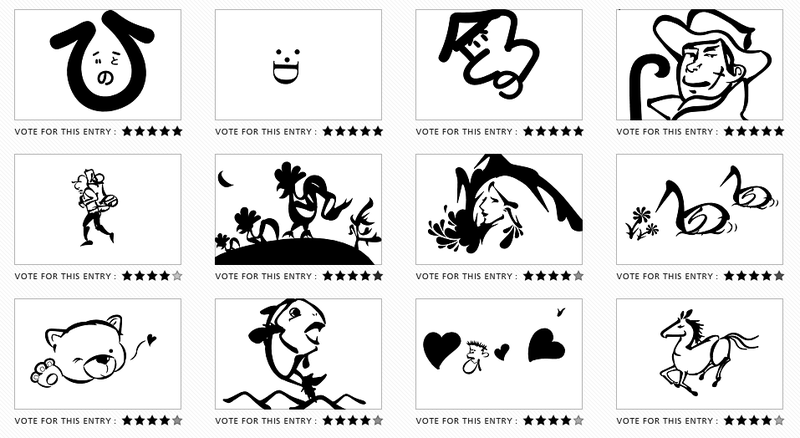 You can check out and rate the creations of others and/or make your own. You can also buy the fonts or download a screensaver. The creativity of some people is stunning and inspiring. The myriad shapes of the glyphs get your imagination going, and the feel as you pull them apart and sling them around the screen is really fluid. They have some intertia, so you can spin them, and they kind of quiver when you mouse over them, like they’re ticklish. Ticklish glyphs! Now I really have seen everything. Try winding up your mouse and flinging one right off your screen. Hilarious. The silly sounds of the demo got old pretty quickly, but you can turn them off. The About page is all in Japanese, so there’s not much else I can share, other than check it out! Bet you never look at a glyph the same way again.